Travel does not only bring the family together, but it also brings joy, fun, new experiences and lifetime memories… shared with the ones you love. No matter how often you travel, trips should always be part of your family life as they strengthen family relationships and make you happier. All it takes is just a little planning. Choosing a destination, selecting the attractions you want to visit, and finding the perfect home to fit all your family together. When thinking about your next holiday destination, Fuerteventura is one of the best choices you and your family can make. To help you plan out everything for a perfect family getaway, we created this holiday guide to Fuerteventura. Feel like a local and enjoy everything this stunning island has to offer. Keep reading and find out how to feel like a local during your holiday in Fuerteventura. Fuerteventura offers 3000 hours of sunshine per year which makes it an ideal holiday destination all year round. However, there is a tiny weather difference from season to season. We would say that the best time to visit this island is anytime, but it all depends on what you and your family prefer. During winter time Fuerteventura temperatures can rise up to 21°C, and fall down to 13C. The water is not so warm for swimming as it is in the summer, however, this season is perfect for visiting Fuerteventura attractions. If you visit Fuerteventura in winter make sure to bring some warm clothes as nights can get a bit cooler and light showers are sometimes also possible. The weather in spring is warmer, and temperatures can climb up to 24°C. April is the warmest month and is great for spending long days by the pool or at the beach. However, nights are still a bit cool. If you are looking for a place that is not too crowded, then springtime is probably the best time to visit. Autumn in Fuerteventura is pretty nice. September and October offer great conditions for spending pleasant days at the beach. The highest temperatures reach up to 28°C. In November, on the other hand, daily temperatures drop to 21°C. This period is not that busy as in the summer, and prices are also lower. Finally, summer in Fuerteventura is the perfect season to soak up the sun and get a nice tan. August is the hottest month with average daily temperatures of 28°C, and night temperatures of 22°C. This is also the best season for doing many watersports activities such as windsurfing. With warm, sunny days and pleasant weather all year round, Fuerteventura offers great conditions for family holidays. Regardless of the season, Fuerteventura is always a great choice for families since it promises lots of fun and relaxation. Getting to Fuerteventura is quite easy. Whether you are traveling from Europe or any other part of the world, you can find many airlines that offer great flight deals to Fuerteventura. 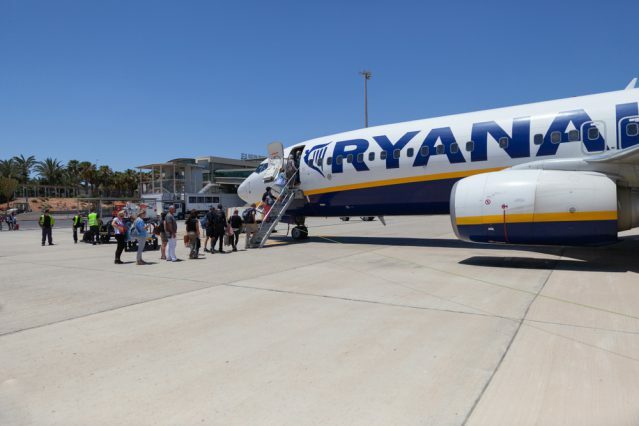 Eurowings, Ryanair, and EasyJet are just some of the airlines that fly to Fuerteventura airport. However, if you decide to travel by train, bus, or car to Spain, there are ferries from Corralejo to Playa Blanca every half an hour. Prices are reasonable, and you will enjoy the picturesque landscapes during the trip. Fuerteventura is a paradise for those who love spending their holidays swimming and sunbathing at the beach. There are many lovely beaches where you can spend days relaxing. However, here we selected 5 that are totally worth visiting for a lovely family day. Sotavento is the right beach to be if you love swimming. It is deserted, with fine sand, and calm sea waves. Esmeralda is a nice, small beach in a tranquil setting where you can spend lazy days and recharge your batteries. La Concha is popular among families with kids for its crystal clear and shallow waters. It offers great conditions for swimming and snorkeling. 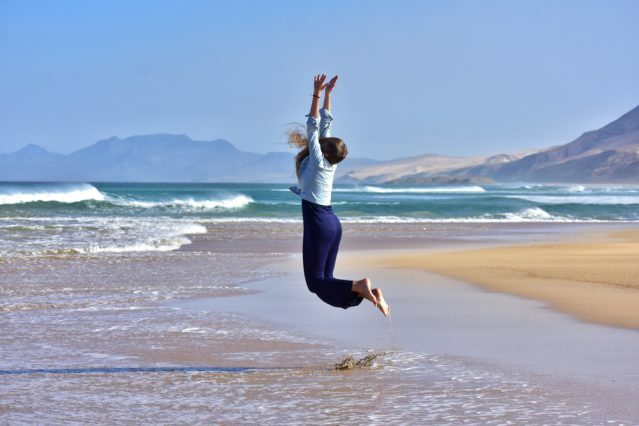 Cofete is another isolated beach and perfect for relaxing in tranquillity. Here you can have long walks and watch fantastic sunsets. Waikiki is famous for its great location, clean waters, and white sand. Except for swimming, here you can enjoy doing some watersports together with your family such as kayaking and paddling. Each beach offers a different experience and each beach is unique in its own way. If you have the time, visit these 5 amazing beaches for an unforgettable experience. A holiday would not really be a holiday if you and your family won’t stop by at some of the local restaurants and try some traditional dishes. 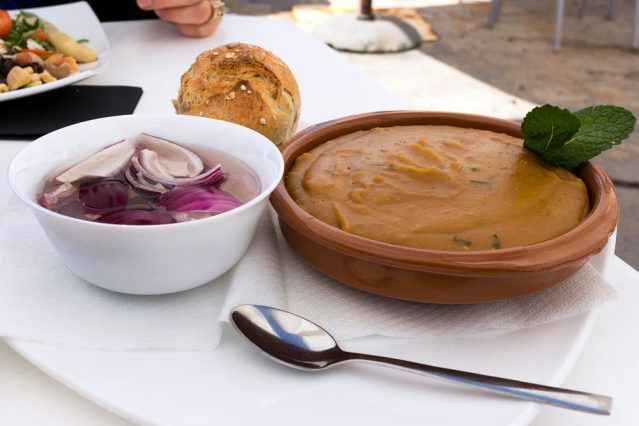 Fuerteventura offers not only stunning beaches but also very nice restaurants. Fado Rock SteakHouse – you can find this restaurant at the three most famous resorts in Fuerteventura: Corralejo, Puerto del Carmen, and Caleta de Fuste. What is special about this restaurant is that they serve different types of meat, including a kangaroo, and a deer. So, if you are a meat lover, you’ll definitely fall in love with this restaurant. Sanus Fuerteventura – it is a great restaurant for family get-togethers where you can find healthy dishes made of natural products. Here you can also order some vegan, vegetarian, and gluten-free meals depending on what you prefer. When in Sanus, try tuna tataki, fusilli with yellow curry sauce and shrimps, and gnocchi. El Bounty del Muelle – it is situated in central Puerto del Rosario. At a reasonable price, here you can taste many beautifully served dishes including mixed grilled fish with seafood, langoustine in garlic, and so much more. La Jaira de Demian – you will find this amazing restaurant in Puerto del Rosario. Here you will have the opportunity to try not only traditional but also many international dishes cooked with local products. Everything is delicious, but don’t miss out on tasting spinach chicken salad, sweet potato soup, and tempura vegetables. Casa Santa Maria – this restaurant is very nice and except trying delicious dishes, here you will have the chance to watch a movie at the cinema, visit the museum with agricultural tools, or simply relax in the beautiful garden. What is special about Casa Santa Maria, is that the specialties are homemade, and you can taste the delicious local goat cheese in many dishes. If you visit this restaurant order fried cheese, homemade tomato soup, roasted lamb, or whatever you prefer. No matter which restaurant you visit, you and your family will have a lovely time and enjoy delicious food, cozy ambiance, and local hospitality. In Fuerteventura, you are never too young or too old to go out for a drink. Although Fuerteventura nightlife is modest, and not as wild as the other Canary islands, you can still spend lovely nights with your family. 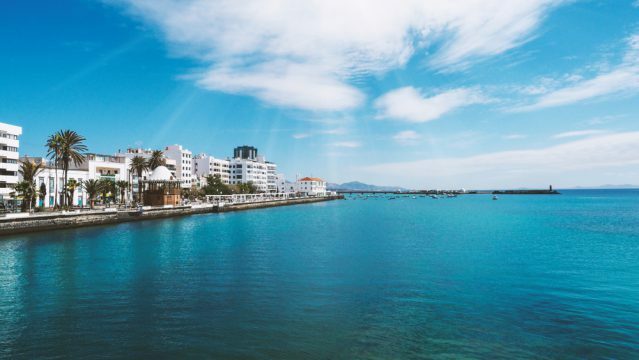 Puerto del Rosario – Around the port of the capital of Fuerteventura you will find many lively bars where you can spend great nights with your closest ones. Go to El Abuelo Camilo or La Tierra and hang out with the locals. There are also some nightclubs where you can party until the early morning hours. In Magma Disco Lounge and Azucar, you can dance on different types of music. 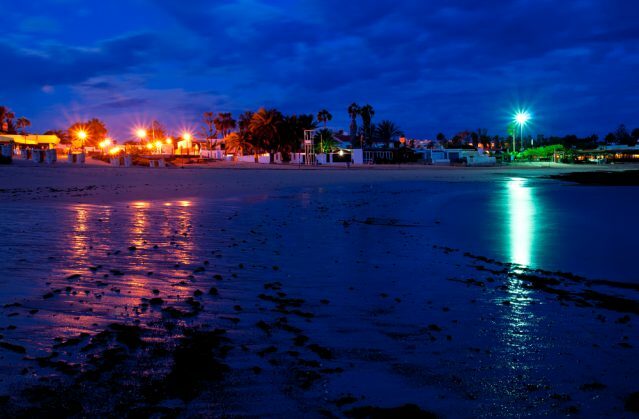 Caleta de Fuste – In this resort there aren’t any nightclubs, but there is a very nice bar, the Blues bar, and a casino at Carlota hotel if you’d like to have some fun. Corralejo – Except for nice restaurants where you can go for dinner, you and your family can also go out for a few drinks. There are many nice bars, but Nico’s Belgian Beer House and Mojitos Beach Bar are definitely worth visiting. If you love going to nightclubs, check Waikiki, Estrella, or Majestics and spend a nice time dancing with your family. It is not where you are, but who you are with that matters the most. So, no matter where you and your family decide to spend the nights, we are pretty sure that you will have amazing moments together. If you have kids, you can also bring them to the bars and restaurants of these resorts even in the late hours since they are child-friendly. 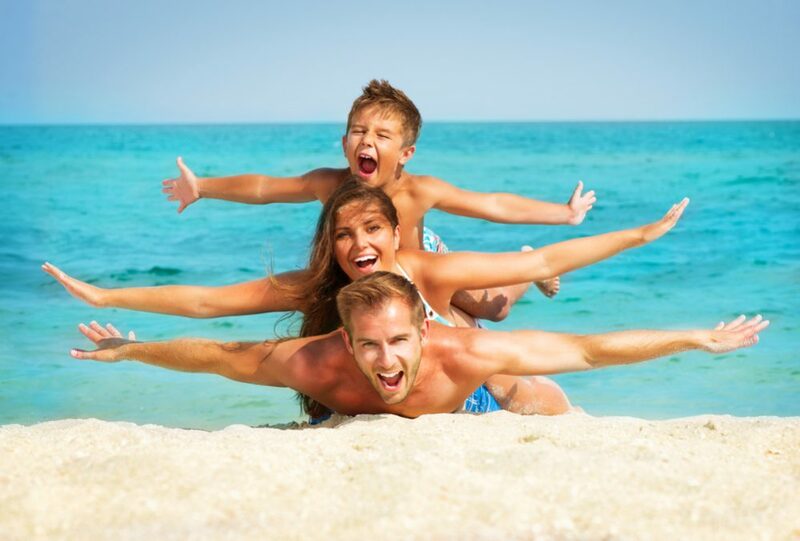 Who wouldn’t like having fun, especially when you travel with your dearest family? One of the ways to stay entertained in Fuerteventura is to try some watersports. Fuerteventura has great conditions for doing these watersports. If you like adventure, go parasailing, jet skiing, or surfing. If you wish to explore the underwater world and see its amazing flora and fauna go snorkeling and diving. There are many water sports companies throughout the island where you can rent sports equipment or hire instructors. You can also go on a boat cruise and spend an amazing time with your family while enjoying the many beautiful landscapes on this lovely island. Being one of the top holiday destinations for families in Europe, there are so many things you can do and see for family fun. Especially if you have kids, you can do so many entertaining things here. Visit Los Molinos Visitor Interpretive Centre – You and your kids will find out how a windmill works, see its interior and learn its importance in the past. You will also have the opportunity to taste the famous Gofio and even get a recipe for free. Explore Corralejo Natural Park – breathtaking views, and amazing landscapes are awaiting you at Corralejo National Park. A fantastic beach and an enormous area of sand dunes are a paradise for nature lovers. Take long walks, relax at the beach, attend some festival, do some watersports….do what makes you happy. Fuerteventura won’t disappoint you. Have Fun at Aqua Water Park – racing, splashing, sliding, jumping, relaxing at jacuzzi are only a few of the things you can do here. Spend a Day at Oasis Park – the biggest botanical garden and zoo of the Canary Islands offers many entertaining activities. Here you can ride camels, feed giraffes, see different interactive shows, and much more. Your visit here will be an experience of a lifetime. Relax at Cofete Beach – this beach is one of the most charming beaches you’ll ever see. Even though swimming here is not recommended due to the strong currents and fierce waves, the whole landscape is worth the visit. Get Lost In Betancuria – this is the old capital of Fuerteventura which is of great historical significance. Here you can wander the beautiful streets, sit at some of the restaurants and try a delicious fried goat´s cheese, or buy some interesting stuff at the local shops. Visit Ajuy Caves – the million-year-old rocks will amaze you with their fascinating look in different shapes. 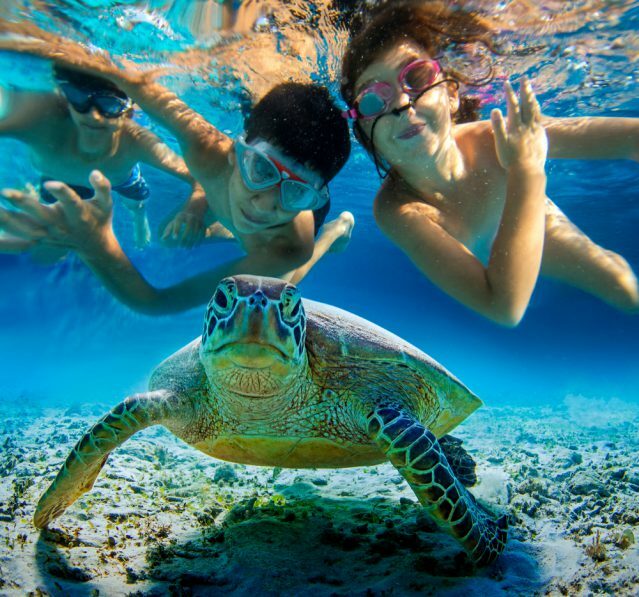 With so many interesting things to do in Fuerteventura, you and your family will create memories for a lifetime. Shopping yay! 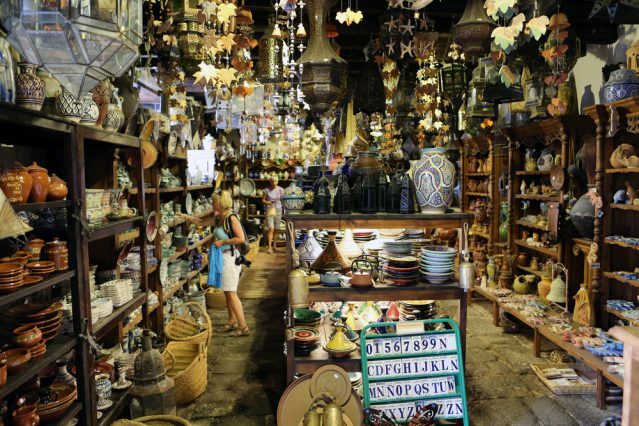 Family shopping is fun, and Fuerteventura promises a wide range of shops including famous brands, different cosmetics, jewelry, clothes shops, handcrafts, antiquities and so much more. Puerto del Rosario – being the capital of the island and the most visited resort, Puerto del Rosario offers great opportunities for shopping. It has the largest shopping center on the island, Las Rotondas. Bershka, Zara, and Stradivarius are just some of the brands you will find here. There is also a cinema where you and your family can watch some great movies. Caleta de Fuste – You will find only one shopping mall, Atlantico, which has everything you might need for a pleasant holiday. Corralejo – at this resort several shopping centers are available with free parking areas. The most popular ones are Las Palmers where you can buy stuff from different brands. El Campanario shopping center has many international and local shops too. On Sundays, at this center, there is a craft market where you can buy many interesting handicrafts. Don’t forget to take some souvenirs or buy some local handicrafts that will always remind you of your wonderful family holiday in Fuerteventura. Fuerteventura has it all for an unforgettable family holiday. Lovely beaches, fantastic restaurants, and great nightlife are awaiting you here. When in Fuerteventura, enjoy this island to the fullest. Relax at the beaches, taste some delicious traditional dishes at the restaurants, and go out for a drink or two at the bars and nightclubs. 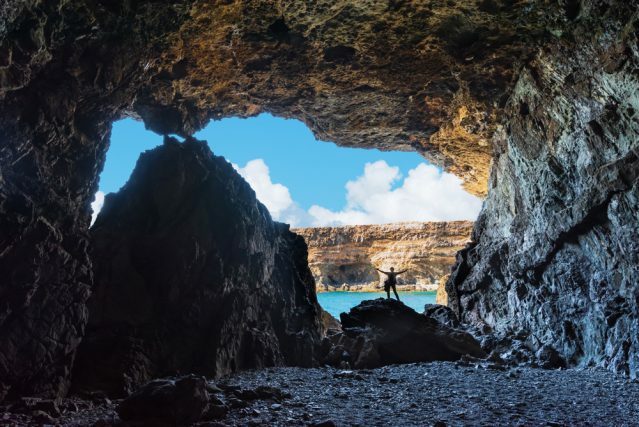 For fun, visit Fuerteventura attractions, go shopping, and do some watersports at the crystal clear waters of this amazing island. Check out our amazing beach villas in Fuerteventura with private heated swimming pools and book the one that meets all your needs. For any further information on accommodation in Fuerteventura, please don’t hesitate to contact us.